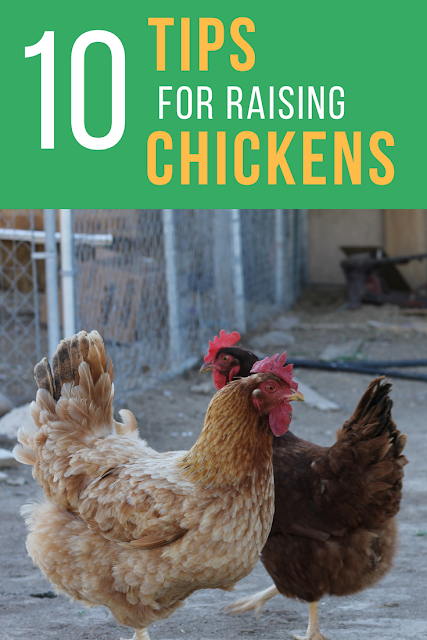 Raising chickens is a great way to start out any homesteading journey. Not only will you get eggs daily, but you'll have a great animal that keeps your yard free of bugs and fertilized. Having chickens is great for your yard. Even if you occasionally end up stepping in chicken poop. Raising backyard chickens is totally worth stepping in a little poo. I asked him specifically to put together a list of his top ten tips for someone looking to start a backyard chicken farm. Or at least a small flock. The best part is, you don't have to have a bunch of chickens to benefit from them. Even having 2 or 3 chickens can really make a big difference for your family. But if you'd rather have like say....20 or 30. That's okay too. Either way, we've got your guide for start raising chickens. So let's get you started! Make sure you check before you invest in the equipment and time. Nothing is worse than raising up some great chickens just to be told you have to give them away. Whether you are buying eggs to incubate or chicks, buying from a local hatchery is a great way to support small businesses. It is also nice because you know where your chickens came from. If you buy off Facebook or a Buy/Sell/Trade group, you don't always know how healthy the hens that laid the eggs were. While there's always risk, most hatcheries are clean and take good care of their hens which helps prevent your chicks from having diseases or deformities. Tip #3 - Why This Chicken? Once you've found where you plan to buy, make sure you know what you're buying and why. Meaning, why do you want this breed of chicken? Are you just wanting a chicken that lays eggs? Or do you want to raise meat chickens for eating? Perhaps you want to do both. Whatever your reasoning, make sure you know which chickens will be the best for your homestead. Don't buy meat chickens and hope they'll lay a ton of eggs for you. They won't. Yes they can lay, but not the same amount that egg laying hens will. Here's a great post about different chicken breeds that can help you decide. Yep, they've got to have some place to live. It doesn't have to be amazing, but they need a safe, dry and warm space. Many people starting out decide to purchase a brooder box. While this is totally appropriate, you honestly don't need one. You can easily put those chicks in a nice clean cardboard box or wooden crate or container. When they are super small, they aren't going anywhere. The biggest thing is making sure they are warm, dry and happy. We've used cardboard boxes and have had great success. This year we finally hauled an old galvanized tub up from our horse pasture just for the chicks. It was perfect for our chicks and didn't cost us a dime. If you are concerned about where you got your chicks or you just want to ensure that they start out healthy, you can purchase medicated feeds. You can purchase these at your local farm store. You don't have to do this, but it is an option. It's important to keep chicks nice and warm. Chicks don't have enough fat on them to regulate their own body heat. They need some artificial heat to do this. You have 2 options really. You can either use a Heating Lamp or you can get a Brooder tray. Both work well and chicks will survive and thrive with either one. Personally, we use a lamp because it provides light and heat. That means if you don't have a room or safe place to put your chicks where they can see the sun, they still get nice light from the lamp. Another tips is to invest in a little thermometer that you can place inside the box, tub or crate. This way you can always tell how much heat and humidity your chicks are exposed too. Feeders and waterers come in all shapes and sizes. You'll probably want to pick a feeder and waterer based on the number of chicks you have. You'll want bigger if you have more or at least several stations to accommodate all your chicks. Make sure when you are shopping around you consider where you will put your feeder and waterer. We recommend getting one that can hang either on your box, crate or tub or even your fence. Chickens, and especially chicks, get their food and water super dirty. Hanging feeders and waterers tend to stay cleaner longer. There are a lot of options for bedding for chickens and they all have pros and cons. We use pine shavings. They have a great smell and tend to keep unwanted smells at bay for longer, but they are hard to clean so you have to dump them every few days. However, you can compost them, so that's a plus. Another popular option is using construction grade sand. The pros are it cleans easy because you can scoop it like cat liter and the chicks can take a nice dust bath. However, it has to be construction grade or it is too fine and can cause respiratory problems. Now for the really frugal homesteader, you can use shredded paper. We've done this. We shredded old documents or bills or newspaper. It is cheap and free but let me tell you it was super messy. You also need to make sure it is only paper. Not plastics or staples that the chicks might eat and die. Not good. You may have purchased chickens just for food, but even chickens need a little love. You'll find some chickens to be super sweet and kind. And you'll have others that will attack your 4 year old, knock her to the ground and claw her back to death. (I'm pretty sure that is rare and has only ever happened once.) But the more you interact with your chickens, the less afraid they'll be of you and other people. Which is good for them and good for you. 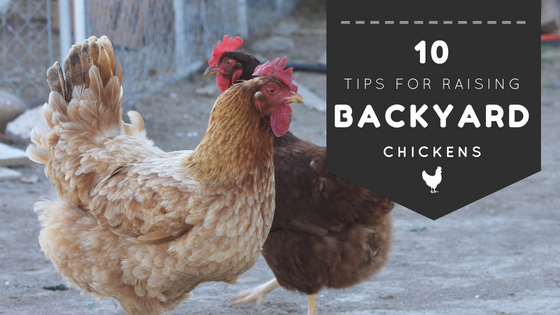 If you follow along with these simple tips, you should have a successful flock of chickens. Not only that, they'll be happy and healthy. Chickens are really the gateway animal to homesteading. They are so easy to maintain and everyone loves them.